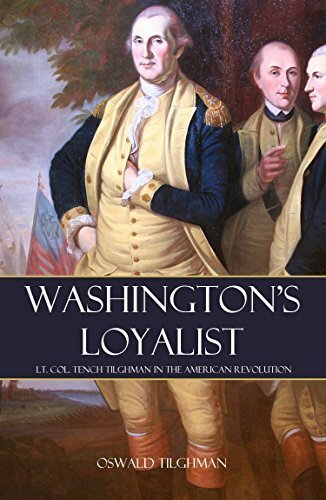 One of twelve children of a family split by loyalist sympathies, Tench Tilghman chose to fight for American freedom from the crown of England. He became one of the close members of George Washington’s military family. Like many of the young men around the childless Washington, Tilghman became something of a son to him. His importance to Washington can be seen in the painting that adorns the cover of this book. It is Charles Peale’s “Washington, Lafayette and Tilghman at Yorktown.” The honor of carrying the news of the British surrender at Yorktown to Congress was given to Tench Tilghman.